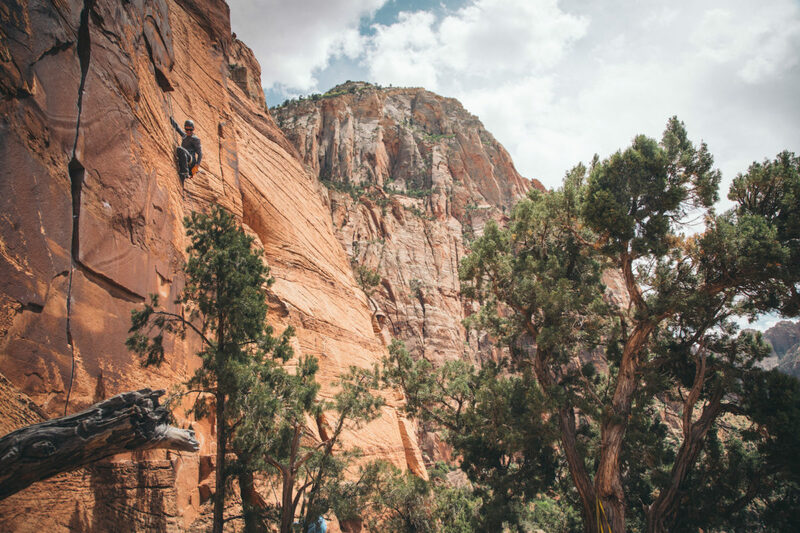 Ashtar Command, a climbing route in Zion National Park. I’ve been climbing for about three years. Like many, I started in the gym and got hooked. Gym climbing led to sport climbing outside, which led to trad climbing. 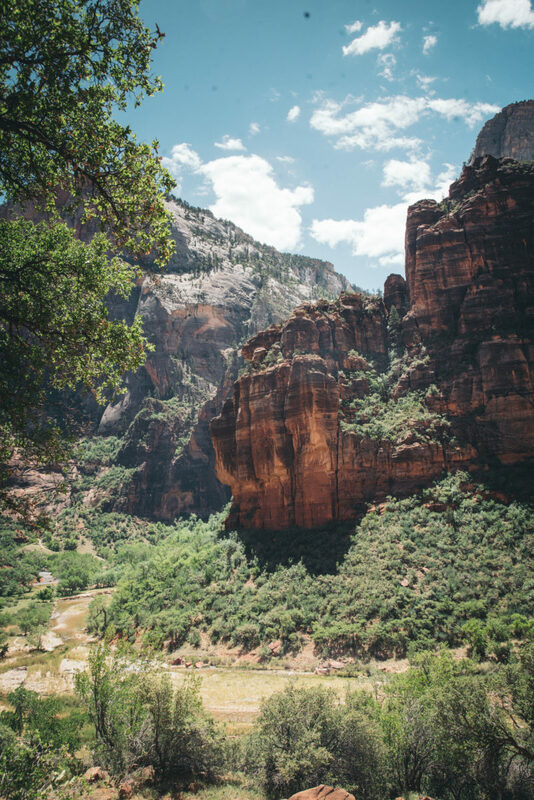 Which led me to Zion. 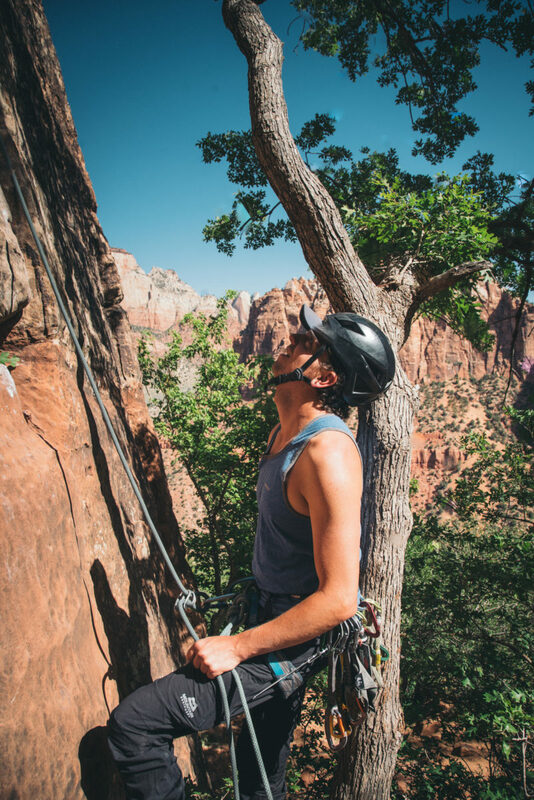 Trad climbing, or traditional climbing, is a style of rock climbing where you build your own anchors to protect against falls. 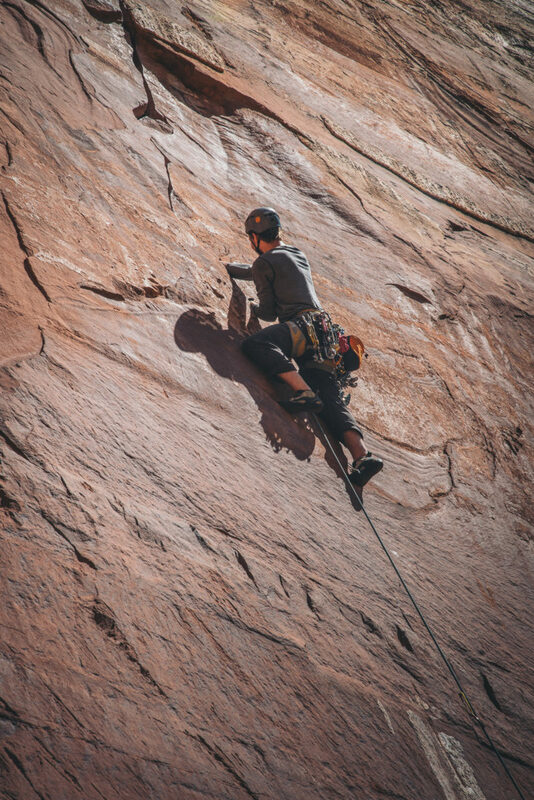 It requires a somewhat complex set of gear that you place in cracks and fissures as you climb and then remove as you go so that all you leave on the rock is a few chalk marks. 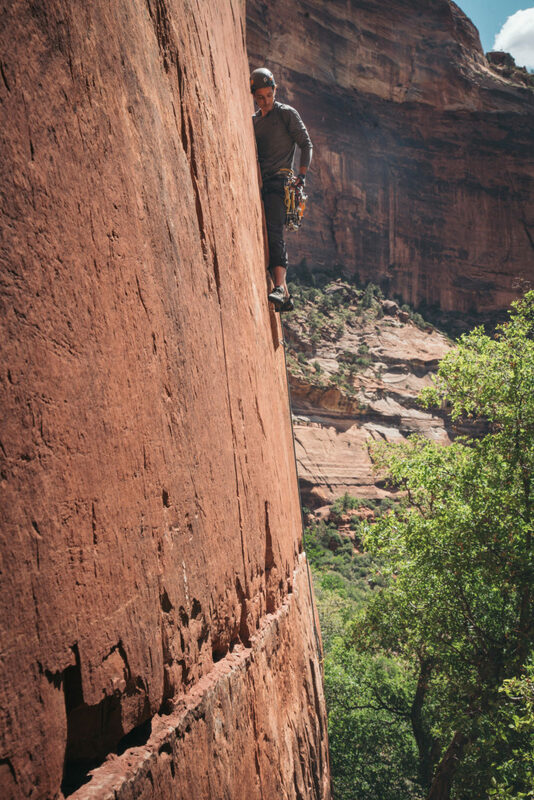 My friend Ben moved out to Zion recently to escape the chaos of Los Angeles. 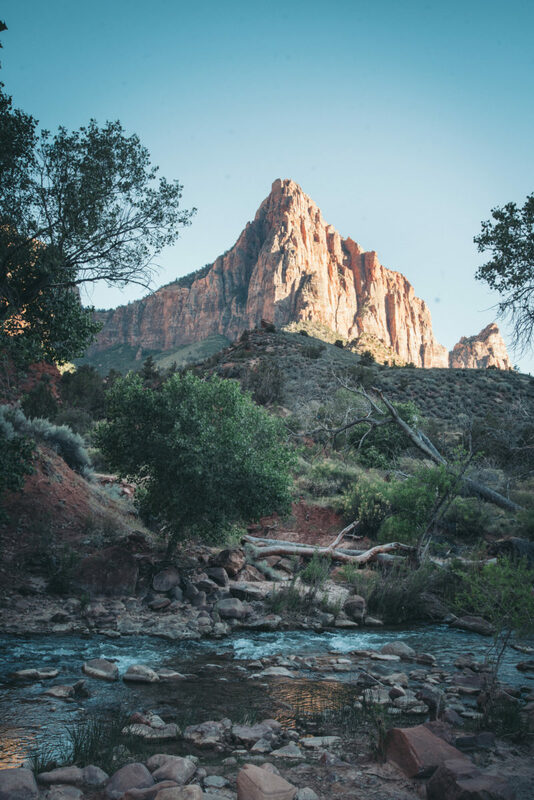 My girlfriend Veronica and I met up with him for a long weekend of laid back climbing, followed by some serious time in his wood-fired sauna, soaks in the cold Virgin River and family-style home cooked meals. 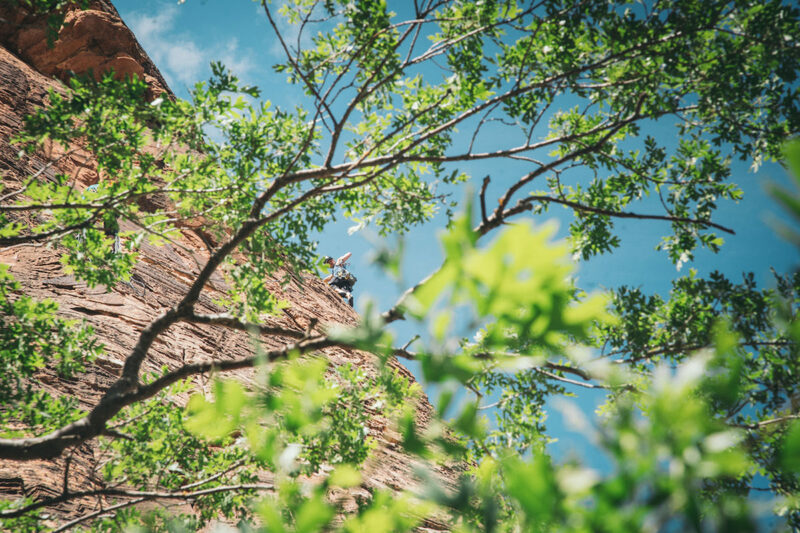 Why do we climb? Everyone brings their own reasons. 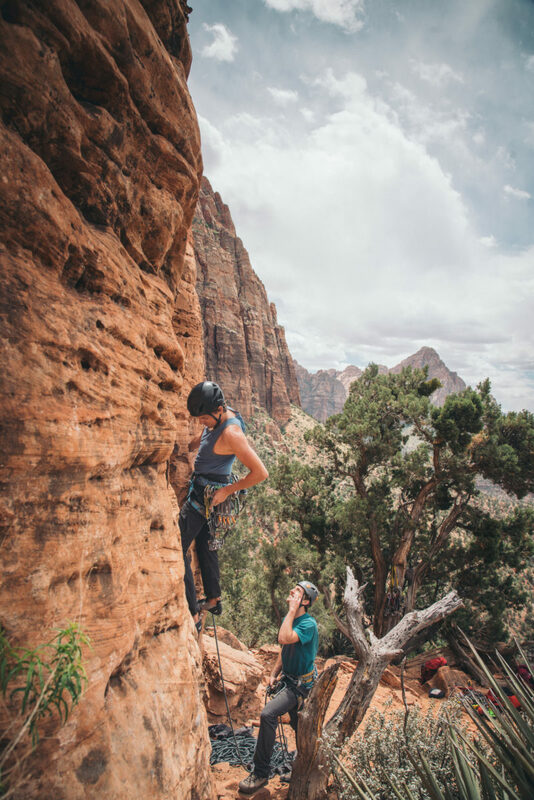 For me, it’s about the brief moments when your entire being is focused on the tiny scrap of rock in front of you and your body intuitively knows where to go as you move up the wall. Fear tames as you focus completely on the task in front of you. 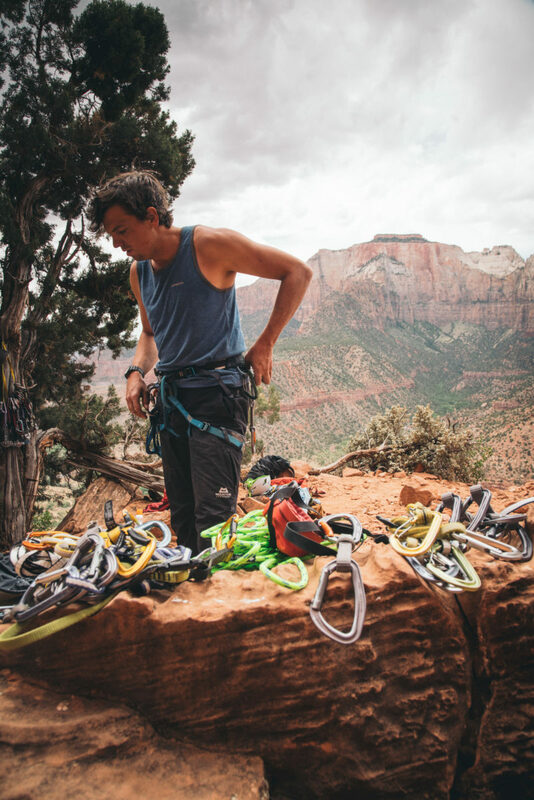 Those intense moments alternate with the equally meaningful experience of simply existing in nature between climbs. Like appreciating the sun on your face or watching birds whoosh below you while you’re perched a few hundred feet off the ground. 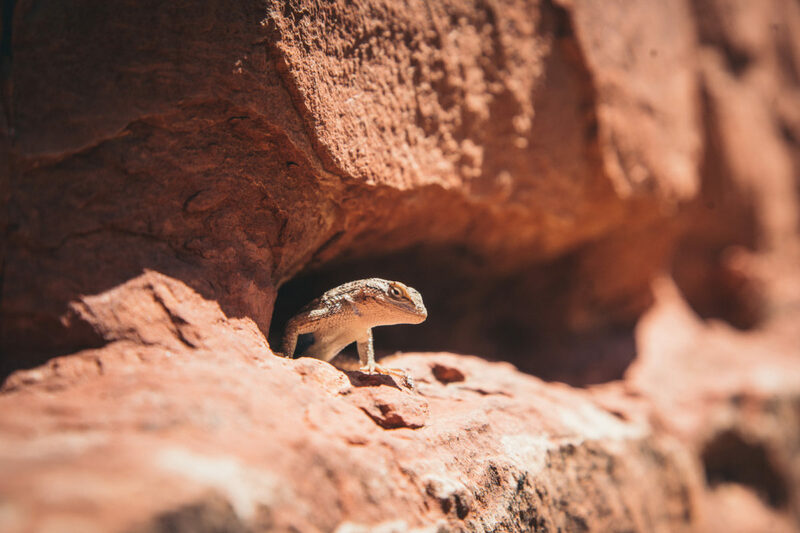 Camping underneath The Watchman the night before climbing. 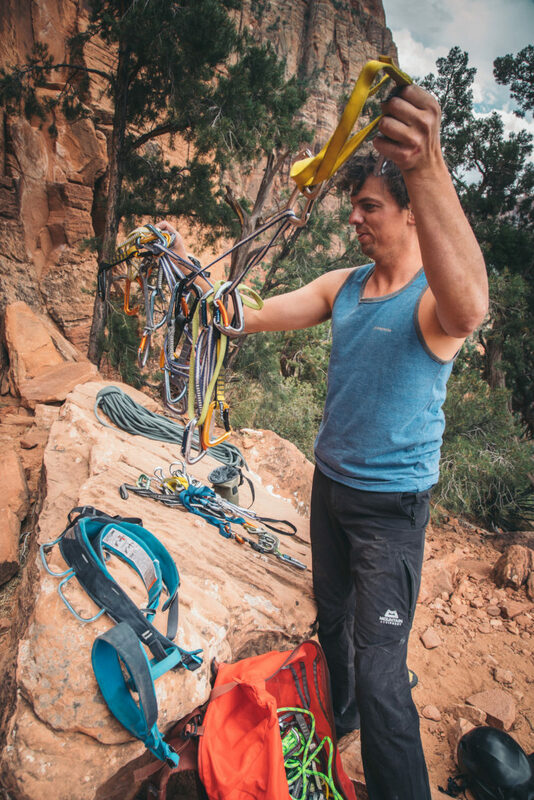 Loading up the packs with a rope, cams, nuts and other gizmos to protect ourselves on the wall. My friend Ben takes a minute to place a piece of protection in the rock and chalk up. 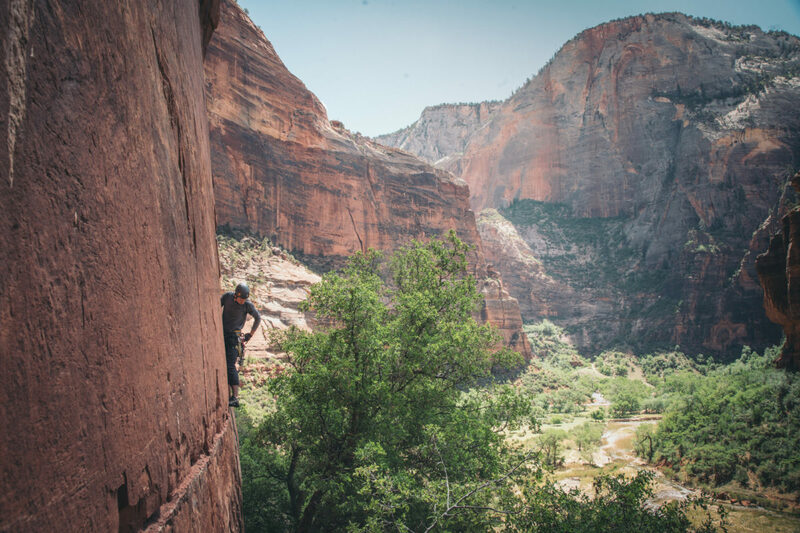 There are hundreds of climbing routes in Zion with potential for many more to be developed. 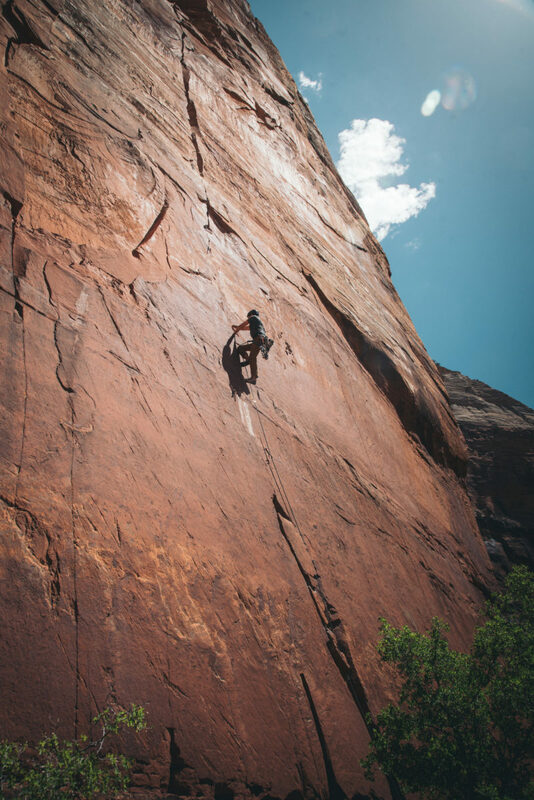 In sport climbing, bolts have been drilled into the wall at regular intervals to clip your rope into. 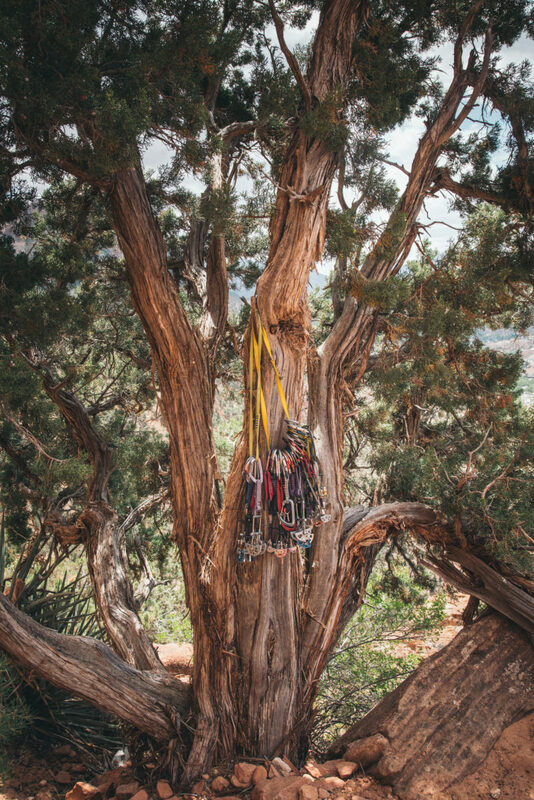 In trad, or traditional climbing, you place your own protection as you go. 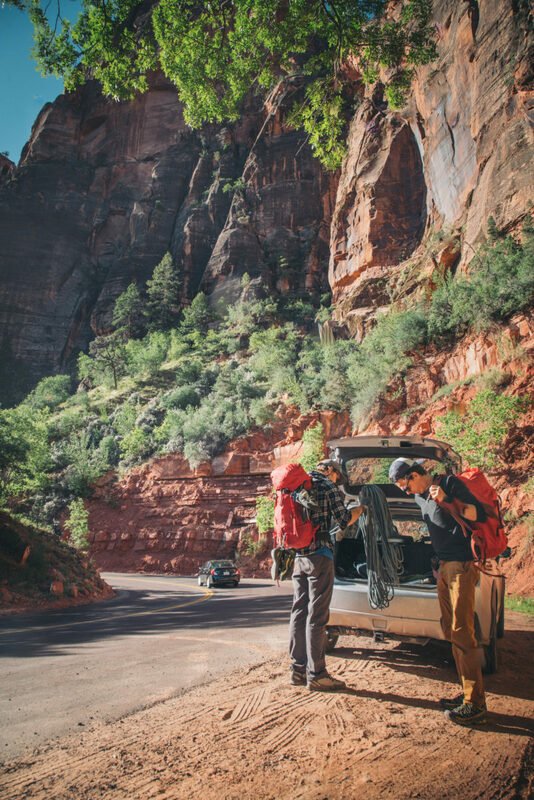 It requires more experience and knowledge, but unlocks the vast majority of routes in a place like Zion. These are some of the tools of the trade. Staying organized between climbs. Or at least trying. 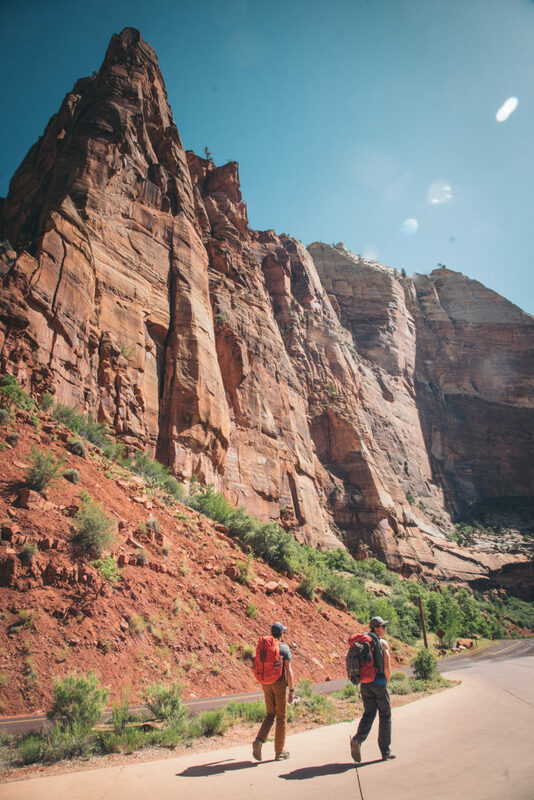 The famous Angel’s Landing is out of frame to the right, but we had this wall all to ourselves. 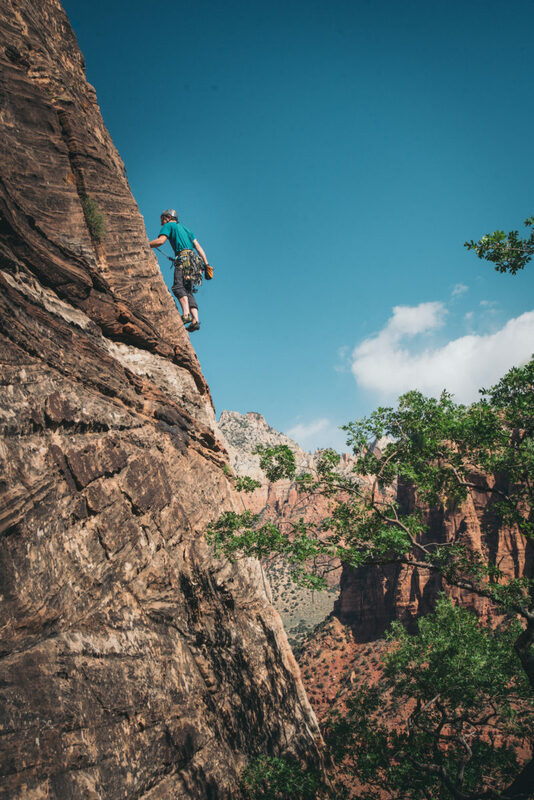 Crack climbing is the name of the game in Zion. 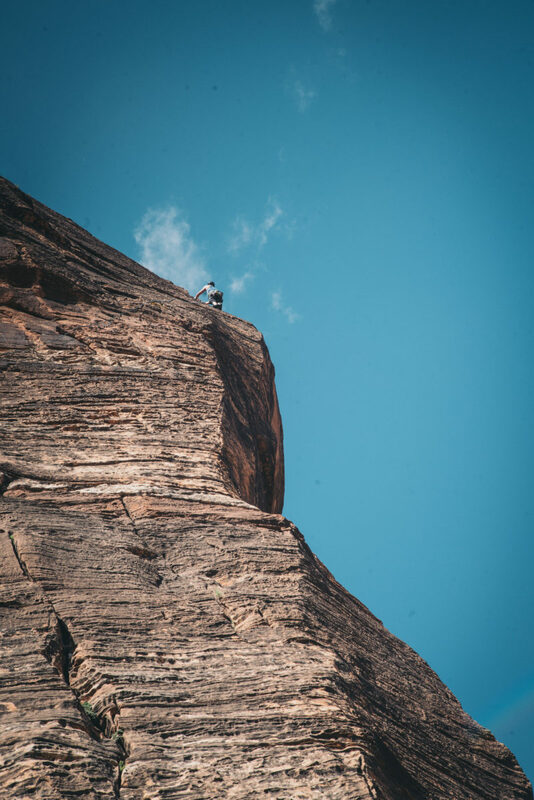 You climb the gaps in the rock rather than the rock itself. At first, it can feel painful and awkward. Done right, it can be nearly effortless. Sometimes the good holds are already taken. 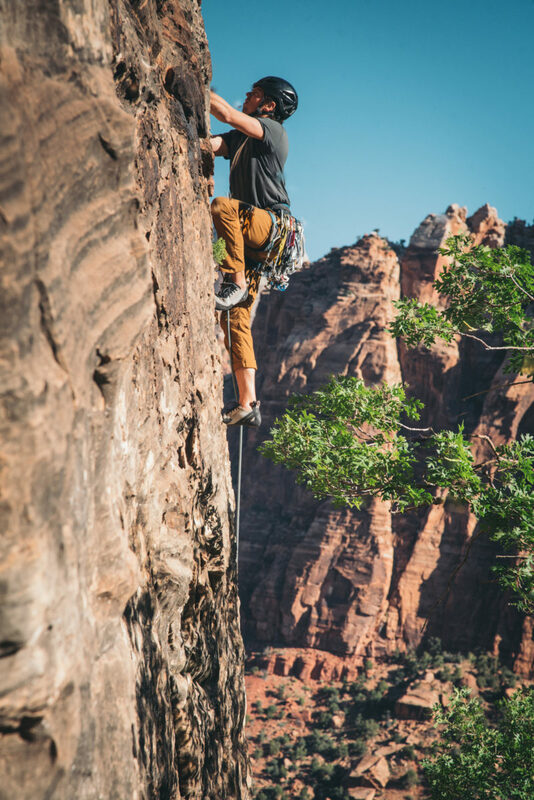 The sandstone in Zion is perfect for climbing. Grippy, but not too tough on the skin. 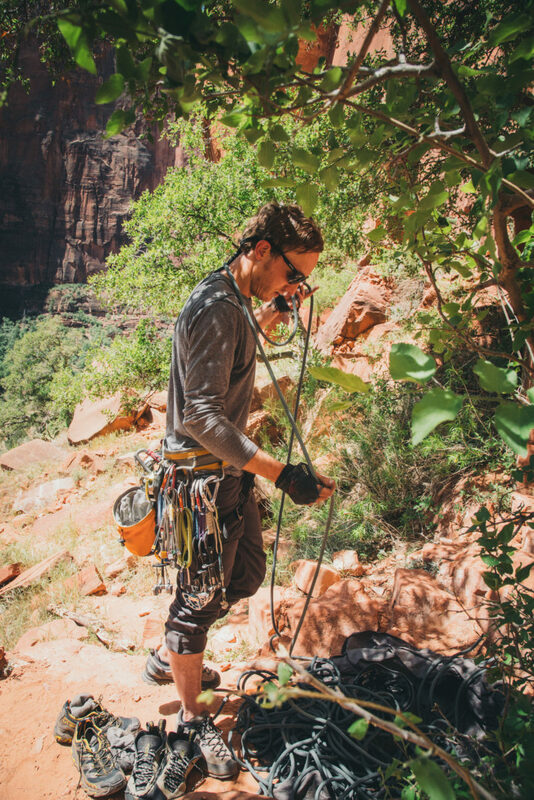 Coiling the rope is both an art and science. 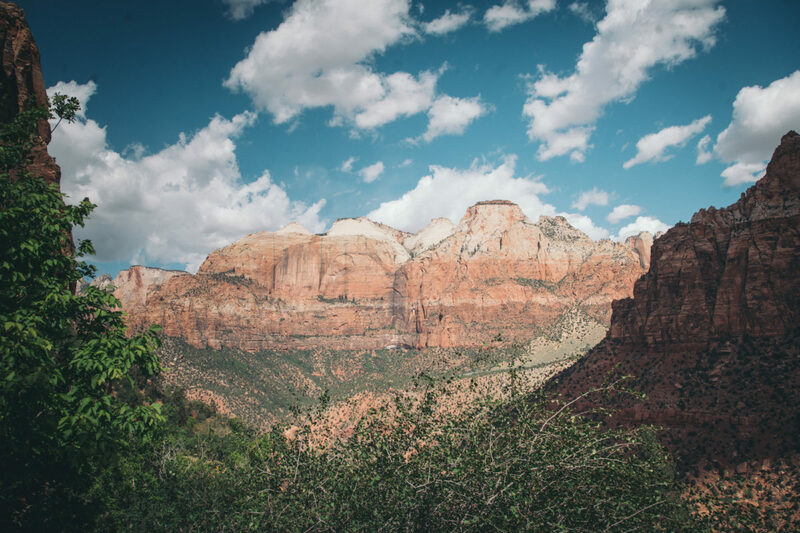 The deep valleys of Zion often reminded me of a desert Yosemite. 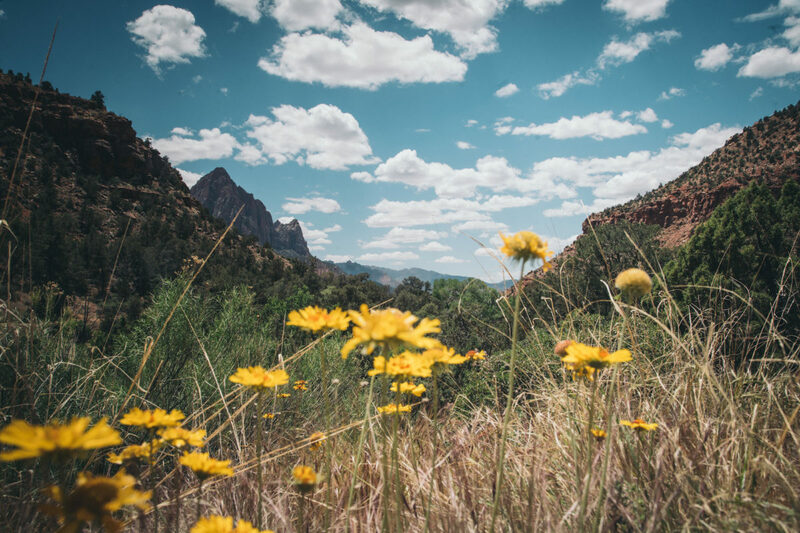 Every park has something incredible about it, you just have to get out there and explore.